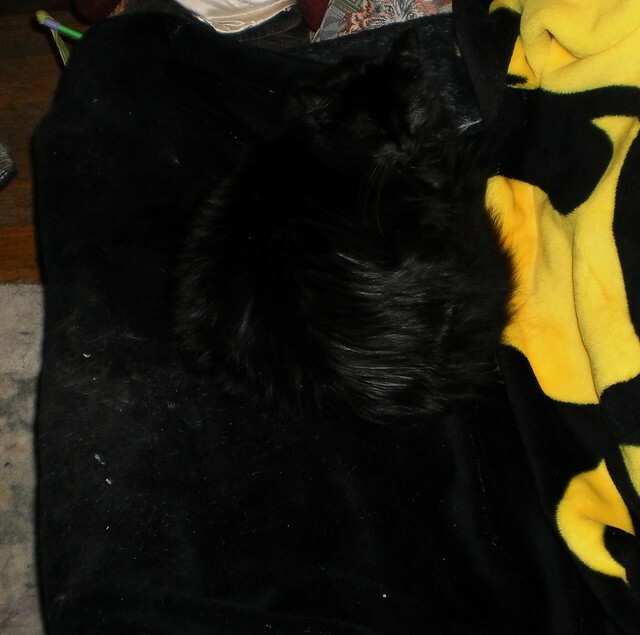 Find where the cat ends and the blanket begins or where the blanket ends and the cat begins. Mija had been lying on this for awhile. I have been waiting for Pilchard to start lying on it just so I could take a photo. If Pilchard could put a hand on a hip and roll her eyes like a teenager, she would. I carry my camera with me since it fits nicely in my purse. But also because I'm concerned they might hide it on me so I stop taking photos of them.